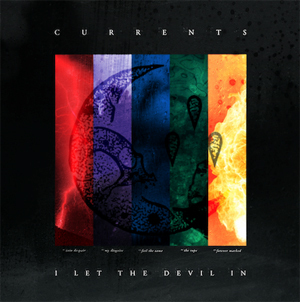 Connecticut metal band CURRENTS has debuted a video today for their latest single “Forever Marked” from the band’s new EP, I Let The Devil In, which is out now from their label SharpTone Records. The new record follows the band’s 2017 album, The Place I Feel Safest, and coincides with their current U.S. headline tour. Watch the video for “Forever Marked” on KNAC.COM HERE. Fans can catch CURRENTS on tour in the U.S. now!